As part of the bank's sponsorship of the US Open, Chase and agency Droga5 are celebrating tennis player and Chase brand ambassador Serena Williams by championing her new chapter as a mom. 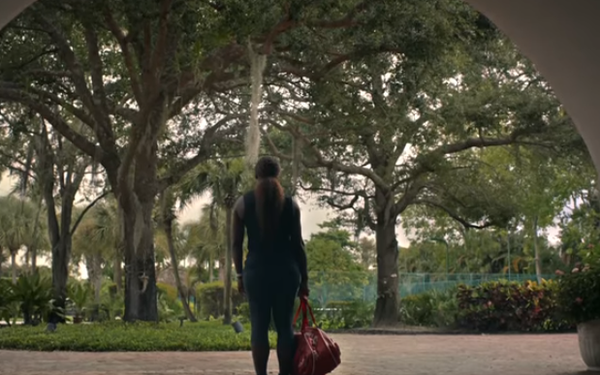 A new ad features Williams softly reciting the lyrics of LL Cool J's rap song “Mama Said Knock You Out” as she is shown in images shifting between tennis and motherhood, before ending with the Chase slate card that plays the original LL Cool J rap "Don't call it a comeback." "We see the vulnerability that comes with being a new parent, but we also see that she draws strength from it," says a Droga spokesperson. "Motherhood is not something that’s holding her back. It’s a part of life that moms in all stages of motherhood draw strength and motivation from." The concept to borrow from Williams' personal life was something that all three sides were eager to explore, says Duncan Marshall, founding partner, Droga5, adding that the specific idea to use LL Cool J’s iconic track came from the creative team at the agency. The film will run online and will be supported by out-of-home media at Madison Square Garden, Times Square and the US Open itself. The campaign is also supported in Chase branches, in Chase’s online content, and through its social feeds. Williams and Chase have been partners since 2015, supporting the financial institution's broader "Make More of What's Yours" platform. In one ad she co-starred with another Chase brand ambassador, Stephen Curry, competing in a game of ping-pong.